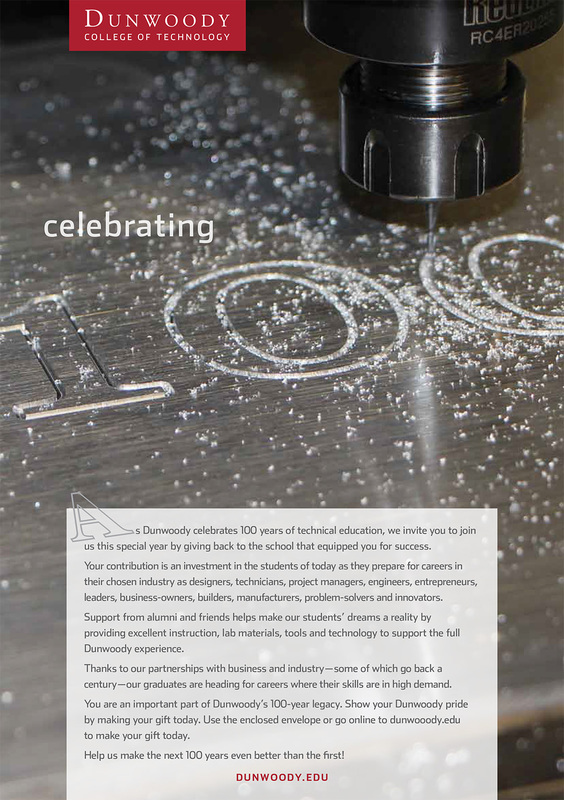 Dunwoody College’s innovative approach to technical training has enabled generations of students to learn the skills most in demand by employers. Fundraising is key to making this education affordable and the technology cutting-edge. We helped them reach out to alumni and the business community with concept-driven fundraising materials that tapped into both the college’s ongoing story of innovation and the high-tech needs of Minnesota employers. 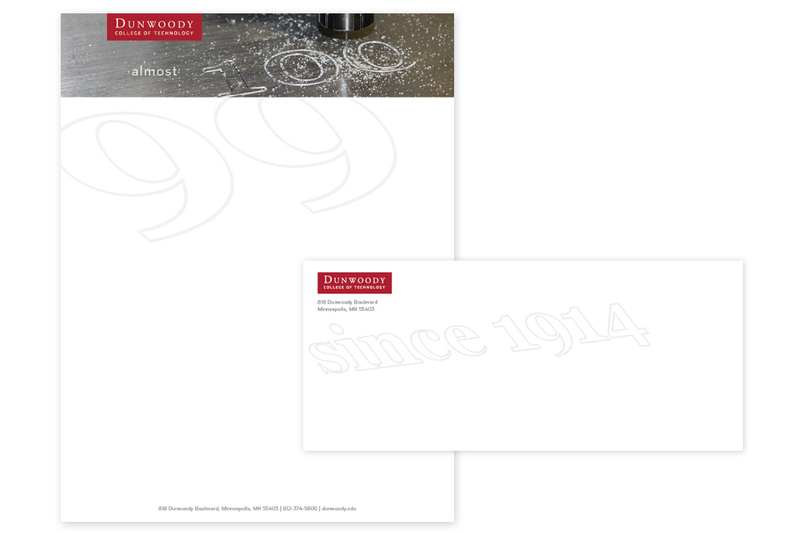 Almost 100: Our first campaign, a year-long celebration of Dunwoody’s 100th anniversary, took advantage of Dunwoody’s technologies to create a campaign that spoke to their ability to retool their educational offerings to the ever-changing needs of our communities. Making The Future: Our second campaign used the latest in 3-D printing to tell the story of how Dunwoody students are shaping not only their own futures, but the future of technology and the entire community.